Lucca was founded by the Etruscans and was at one time a Roman colony, with Roman traces left behind in the rectangular street plan, the Piazza San Michele (which was the Roman forum) and the remains of an amphitheatre. There is an actual piece of a Roman wall left behind in the town. The most magnificent and recognizable feature of Lucca is the completely intact wall around the town, an excellent place to start a day of exploring. 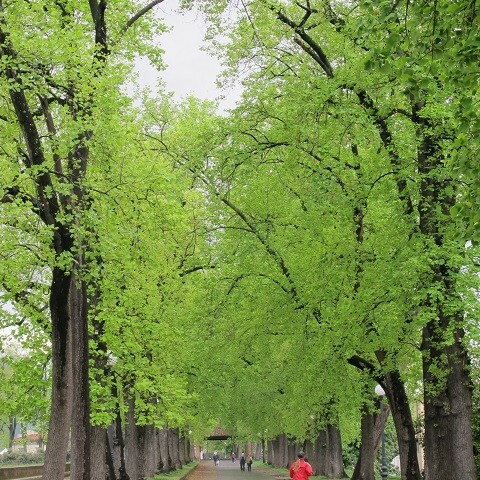 The wide, tree-lined boulevard measures 4.2 kilometres and offers a great view of the streets below. It is a marvelous vantage point for an overview of Lucca. You can walk or ride a bike which can be hired from the Information Office in Piazzale Verdi, or in several other locations around the town. 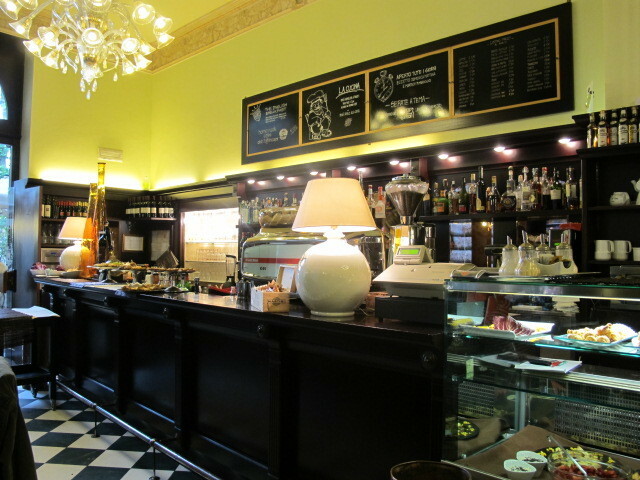 After a brisk walk around the wall, I usually start my day with a cappuccino and a snack at Stella Polare, on the corner of Via Veneto and Piazza Napoleone, reconstructed and named for her brother by Elisa Boneparte Bacciochi when she was in charge of Lucca from 1805 until 1815. 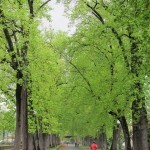 The coffee and food are excellent and the service is very friendly. There is also an easily accessible toilet (not always easy to find). There is a good restaurant here too, with both indoor and outdoor settings. Just off Via Filungo is Via Buia, a tiny narrow street where you will find Pizza da Felice, which sells excellent pizza by the slice; and cecina, a flat chick pea pancake which is a local speciality. They also sell necci – chestnut pancakes filled with either nutella or ricotta. A bit further along Via Filungo you will come to Piazza Anfiteatro, the oval piazza left behind when the ancient amphitheatre was demolished. 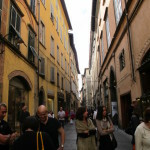 It is now lined with restaurants and shops, including my favourite in Lucca, Le Sorelle. The shop is run by a lovely family with 4 beautiful daughters, hence the name which translates as ‘the sisters’. They sell pretty homewares, a perfect souvenir of Lucca to take away with you. By now it is time for lunch. Da Leo at Via Tegrini 1 is fun and very popular. If you are lucky the waiters will sing to you as they serve your lunch! Another possibility is Buca Sant' Antonio at Via Della Cervia 3, which has been serving delicious food for more than 100 years. My favourite is Paris Boheme, where the extremely entertaining Luis will serve the wonderful food David has prepared in their tiny kitchen (tell him Deb sent you for an extra special smile). 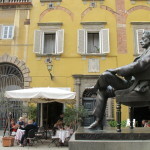 The restaurant is in Piazza Cittadella, beside the statue of Puccini. 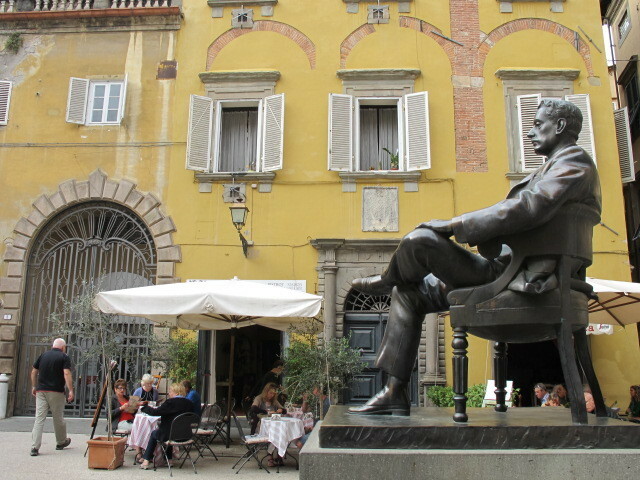 Lucca's most famous citizen was born in the house behind the statue (look over his left shoulder). It has recently opened as a museum. It’s so easy to fill an afternoon in Lucca. There were once nearly 100 hundred churches in the town and many stunning buildings remain. The church of San Michele was designed to be much bigger than the finished church and the amazing facade stands tall and proud in the Piazza San Michele. There is also San Frediano with its Byzantine mosaic on the facade. 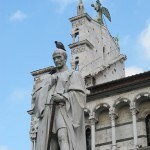 Go inside to visit Saint Zita, a very popular saint of Lucca. She has her own little space on the right side of the ancient church, not far from the spectacular old font. 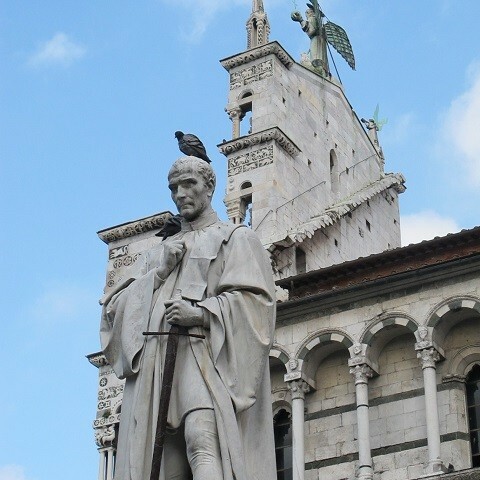 The biggest church in Lucca is the cathedral of San Martino. Inside you will find the amazing Volto Santo, the Black Christ, an ancient wooden depiction of Christ. There is also the exquisite marble sarcophagus of Ilaria by Jacolo della Quercia. She looks as though she is sleeping with her little dog by her side. A climb to the top of the Torre Guinigi with its roof top garden is another fun thing to do. From the top you get a wonderful view of Lucca and the surrounding area. Lucca is a town famous for music. Every night at the church of San Giovanni there is a concert featuring music by Puccini and other famous composers. I have attended these concerts many times over the years and never fail to be impressed by the beautiful music in gorgeous surroundings. If your spine doesn't tingle here I will be surprised. 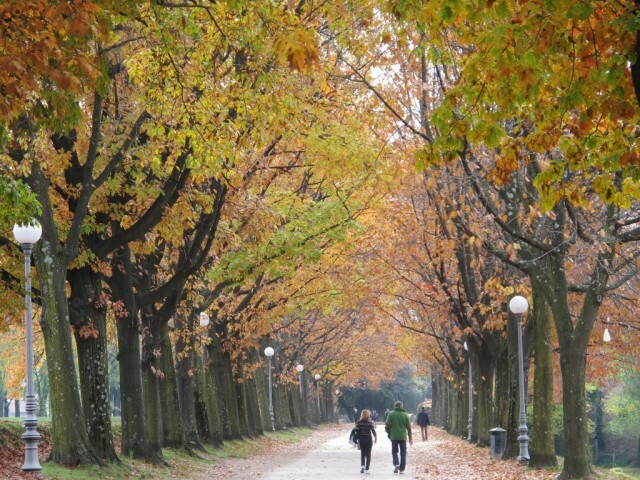 A walk along the wall at sunset is a wonderful way to end a day of discovery in Lucca at any time of the year. 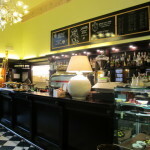 I recommend Ristorante Mecenate at 94 Via del Fosso for an evening meal. They pride themselves on sourcing delicious food and wine from local producers and the service is very friendly. Lucca is a beautiful, living Italian town. 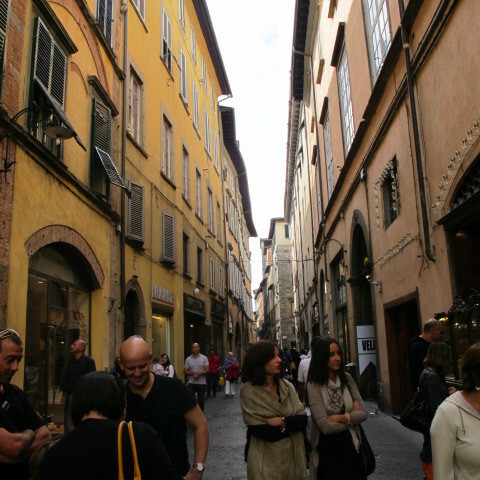 It is not as busy with tourists as nearby Florence and Pisa and has much to offer…one day is not really enough. 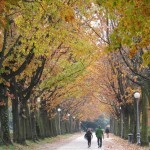 But it’s certainly feasible to base yourself in Relais Santa Croce Florence and enjoy the best of both cities.